4-21-13: Easy 6 miles in 50min..in Fruita, CO, 400 feet vert. 4-22-13: Easy 10 miles in Boulder, CO in 80min…300 feet vert. 4-23-13: Tempo effort…2hrs 24min up Bear Peak in a foot of snow…10.25 miles, 3256′ vert. 4-24-13: AM: Eaasy 70min..9.5 miles for 300′ vert. , PM: Easy 5.2 miles in 40min, 400′ vert. 4-25-13: AM: Easy 6mi. in 55min, 1600 feet of vert (up part of Green Mtn)., PM: Easy 47min, for 6.25 miles, 230′ vert. 4-26-13: LONG 20 miles, up Bear Peak and Green Mtn. 3 hours. 5,000 feet vert. 4-27-13: Easy 13.7 miles in 90min, 545′ vert. Since I’m a numbers guy I like to compare quantitative data (sometimes obsessively). The numbers don’t lie and when a week of training is added up like this it is easy to see that I need to start training with a lot more climbing and also need to be spending a lot more time on my feet if I ever want to compete at the top level in ultra marathon Sky Racing…. especially on the international scene. There is much work to be done and I have no excuses! AC/DC’s “Thunderstruck” boomed on the loud speakers moments before the 6AM stampede that was the start of the Transvulcania Ultra Marathon. I nervously waited at the front of the startline next to Adam Campbell, Cameron Clayton and Joe Grant. Joe pointed out that I was the most decked out in gear, having on almost every item that Ultimate Direction sold (it was true, of all the guys in the “elite field” I was loaded with gear). I was paranoid about getting dehydrated and bonking so I started with 44 ounces of Powerade, 22 gels, 2 salt pills, a bag of potato chips, and the mandatory required items (cell phone, headlamp and emergency blanket) all strapped on. Killian Jornet tucked in in the second row back looking a lot more minimal and light…I motioned for him to move up to the front of the starting line with the rest of us and he waved me off). A remote control UFO sporting a video camera hovered above the thousands of runners as we sprinted off the line uphill and into the dark. After about 90 seconds the path narrowed to a width of about 8 feet and the surface became sand. I felt like I was running in the dark in the desert. The intensity of the initial quarter mile made me breathe hard like I was racing a 10k but I established a good position in 4th place basically sharing the lead with the rest of the pack. About 2 miles in I took my share of the lead as we approached “T” intersection. There were no arrows or people at this point in the race so I paused for a moment and then started running off in what looked like the direction of the main path. Within 5 seconds Killian came up and called me back, telling me the correct path was actually in the opposite direction I had mistakenly started running! Just before the first aid station at mile 4.6 I took the lead by powerhiking past a running Cameron Clayton on a sandy uphill. As I ran into town thousands of spectators enthusiastically cheered and applauded. Many shouted “Go Killian” as it was still quite dark and all they could make out was my dark hair and white t-shirt (SCOTT t-shirt NOT Salomon!). I heard that over a hundred times throughout the course of my lead and it appeared some people were quite disappointed when I ran past them and they got a closer look to see who I was! By mile 15 or so I had a 3-minute lead on the field. From what I gathered later Cameron was still in 2nd and Killian and Luis Hernando were close on his heels. I had downed 10 gels by this time and re-filled by two 22 ounce bottles with some crazy orange sports drink which was pretty sweet. I figured the intensity of the climb had me quickly burning through carbs and the sheer work output of moving my 145lbs up 8,000 feet on not always runnable terrain was a recipe for an early bonk disaster (especially considering I had already done more powerhiking than I had ever done in my life combined , my breathing was farily rapid, and I was sweating quite a bit). After being received by another enthusiastic crowd at the 15 mile aid station I felt compelled to continue pushing the pace. My name was announced on the loudspeaksers and I was feeling like I’d imagine what a rockstar feels when they take the stage…to a small degree. Pretty cool. I attempted to eat a dried plum but spit most of it out. I was about 5 minutes under Dakota Jone’s course record split. And after hitting a stretch of road I suddenly felt a building pressure not only in my bladder but also in my lower stomach. Looking for a place behind a tree after the spectators had thinned out I peeled off the road and took a dump. This bathroom pitstop I timed at 40 seconds…which was a first timed pitstop and possible PR for me. A couple miles later the dirt road slowly winded up the hill and I became confused, as it appeared some “GR trails” would go off the road and into the bushes a bit and then pop back out on the road. I took a couple of these side trails not really knowing if I was on course until one of them abruptly ended with a big pile of bushes stacked up in a “dead-end.” Luckily, I was only about 30 seconds in the bush away from the road so I peeled back around and got back on course. I’m still going to have to analyze this part on my Strava map but it may have cost me another minute or so…. At the next aid station I was greeted by Anna Frost and Bryon Powell who I asked about what was going on behind me (that was when I learned I had had a 3-minute lead at the previous aid station). I quickly sipped some water and charged up the next steep section of road switchbacks. Much to my dismay, I heard the chase pack approach within a minute. At that point I knew it was only a matter of time before Killian caught me as I was losing ground. I already thought of what I’d mutter to Bryon to record as an iRunFar tweet if I saw him at the top of the volcano. By the 20 mile mark I was already feeling like my quads were shot and it was going to be a struggle just to finish. I feared that the whole field would swallow me up and I’d be left walking into the finish line in a place that I would be ashamed of. Luckily I didn’t totally “blow a gasket” as I continued to hold off Killian and Luis for another couple miles and 1,000 feet of ascent as my pace slowed. A lot of times on the steep switchbacks of loose dirt we were power hiking and I’d get a good glance at their efficiency as they slowly ate up the ground that separated us. I knew that the win was going to be impossible for me to pull off (given Killian’s ability to quickly descend) if I wasn’t leading at the 30 mile mark. When Killian and Luis passed me they looked strong and I stepped off of the narrow trail and waved them by. I watched as Luis made a stronger move and at one point he, Killian and I were all separated by a minute. I spent my sweet time at the aid-station at the very top of the volcano, the highest point in the race. After empting out some empty gel packs in the trash, filling up on 44 ounces of Gatorade and eating a banana I had pretty much two objectives for the rest of the race: 1. Don’t fall and hurt yourself, and 2. Don’t get caught by anyone else! The technical downhill on rocks really was fairly uneventful for me because I didn’t fall or epically bonk. My quads were screaming the whole time and it was somewhat tortuous to see the ocean thousands of feet below and know that you had to somehow still descend to see level after already running a hard 40 miles. When I finally made it up to the town of Los Llanos de Ariande where the finish line I was, I vowed to savor the final minutes of the race as thousands of local spectators had made their way around the finish line area and many reached out to me for “high-fives.” As I approached the roar of loudspeakers, music and the giant finish line banner I had my arms out wide in both directions making sure I could high five as many children who stuck their hand out as possible. It was an amazing experience and I almost came to a walk in the final 200m with the density of the crowd reaching out. I’ve never finished a race with so many cheering and it was really special! Overall I’m pleased enough with my 3rd place finish in my first Sky Race although I admit I’m somewhat disappointed with my execution of the race. I think if I had held back a little longer in the opening 10 miles and then pressed the uphill a little later I could have been leading at the top of the volcano – however, the outcome of the race would’ve still been the same…I still would’ve gotten third, but I think I could’ve run a better time. In closing I learned that I need to train with a lot more vertical and actually do some extended long runs up in the mountains. Also, I think my weekly mileage could use a little boost! Thanks for reading and best of luck with your future training and racing! PS stay tuned for my Vo2max Productions YouTube video of the island and what the course looks like!! Congratulations on third in this world-class field! This is a great race report; thanks for sharing some of your thought processes both in-race and post-race. I think it’s funny that spectators were mistaking you for Kilian; after your great result I don’t think that’ll happen much anymore. hey thank you! The spectators mainly thought I was Killian in the early morning hours when it was dark…so they just saw the top of my head and the fact that I was in the lead. Glad you liked the read – I really appreciate the support! I like what Joe Grant pointed out about your gearing. Hilarious! That’s a crazy fun report to read…ha ha ha! no toliet paper…there were some natural alternatives! Thanks for the support – yes, the Avery sponsorship is very important for me! Great write-up! You’re totally right about the numbers. I have a friend who tells me that it’s not the miles, but the effort contained in those miles, that tell the story. Minutes per mile go out the window, especially when you’re looking at elevation gain, and the technicality of the trails. My two cents’ worth, anyway! And congrats again, great job there! Congratulations on making the podium on your first Skyrace Sage! You’re a great inspiration. hey thanks Daniel! Best of luck with your training and racing too! You are just beginning !!!! Thanks for reading! I really appreciate the support! Sage, this was a great report. The honesty is really appreciated on this end. While you have a number of goals set out for you in the upcoming weeks and months, this was a great start to a style of running so different from what you’ve done since moving up from marathons. Keep up the good work; you are an inspiration. thank you! yes, as a Sky Race this race had a bigger learning curve. I felt very fortunate to be able to race well enough to place in the top 3 and remain healthy. Great race, Sage! It was fun to get to see the runners cross the finish line. I thought it was awesome that you made an effort to high five everyone you could. Not something you see much outside of the ultra world. Hey thanks! It was a new experience for me and all those cheering kids and families was really inspiring to see. Good for you for trying out a whole new racing experience. Looks like a beautiful place to run. Sounds like you learned some really good lessons from this race; actually you seem to be learning from all of your races, regardless of where you are on the podium. That’s what counts. Enjoy your recovery and continued training! hey thanks! There’s always so much to learn so I’ll always try to keep my mind open. This was a good race. Best of luck with your running too! hey thanks for the support! glad you liked the read. I’ve still got lots to learn and a long way to go…hopefully I can stay healthy and keep doing this in the coming years. Best of luck with your training and racing too! Great report and great run Sage! I thought about wearing a GoPro in a race…prob not for Mt WA though! Glad you made it off La Palma Sage ;)… Great run man!… Keep crushing it! thanks DJ! Great hanging out with you! Awesome job Sage! I was able to watch it on the live stream which was really cool! It’s amazing how many gels you went through in the first 15 miles. That vertical ascent must have really been a carb unloader. Do you use any gels during training? Keep training hard! Looking forward to following your next race. hey thank you! I usually wouldn’t take so many gels but I was breathing pretty hard and I was worried I’d bonk. I usually would only take 1 or 2 gels in training during a 20 to 30 mile long run but the intensity is much lower. Great job on your podium finish in your first Sky race… you continue to tear it up! This has been a great learning experience. You are doing a good job, thank you for all your publishing on your experiences, it helps motivate others to live the ultra-running life style & maybe travel out of the US to do some races ( or just Race at all). Looking forward to more reports. CONGRATS!!!!!! hey thanks so much for the support! I am proud of the race but I realize I have a lot to learn and look forward to new experiences where I can hopefully improve as a runner. Best of luck with your own training and racing and thanks for the comment! amazing job, sage! definitely should be proud … and we’re all proud of you! incredible what you were able to accomplish in this race, and knowing that you could have still performed better. so cool. hey thanks so much for the support! 3rd place is a great finish with that field. Amazing run and great write up. Always a joy to read your racce reports. sounds like it was a very grueling race, great job. quick question, do you take ice baths? Sage, I was following the race on Twitter and iRF and I thought you were really gutsy to take on the lead in the way you did. No-one can say you didn’t go out to win so well done for that. You say above ‘if I ever want to compete at the top level in ultra marathon Sky Racing’. I think 3rd place in such a strong field over a hellish course is pretty clear proof that you’re already competing so don’t be too hard on yourself. Oh and a final congratulations on the Pitstop PR. Now that’s something I can compete with you on. I’ll start tomorrow morning! hey thanks for your kind words! I was trying to win and i knew my only chance would be to try to be in the lead at the top of the hill…Luis and Killian were just too strong (And experienced) though…I was happy to hold onto 3rd. The finish was an amazing experience and I look forward to hopefully being able to race more and experience all such a special event again sometime! Best of luck with your training and racing! Thanks Sage, but I’m currently resting shin splints 🙁 Something you know a little bit about I seem to remember. Any idea what caused yours? Have you got a 2013 race schedule online? I’d like to follow a few more Ultra’s this year and wondered which ones you were planning to do. sorry to hear – rest and ice and compression is good! Could be the shoes, could be overpronation or just a weak shin muscle. I was runnning too much too soon and wasn’t used to pounding downhills. I did some foot flexion drills and calf raises to help the muscles gain strength. My race schedule is on the SCOTT sports website, but next up is Cayuga Trails 50, then Mt. WA, then Speed Goat, then Sierre-Zinal then UROC. Thanks for the support! Awesome effort Sage, followed the whole thing on irunfar here in Australia. Love your passion and honesty about your running. All the best for the next challenge, you’ll kill it I’m sure! hey thanks for following along! Congrats Sage. Impressive and gutsy effort. Killian is the best there has EVER been and you were right in there. Agree. But to get this kind of volume and intensity, you will have to skip some races. Not sure it is worth it to you to race less and train more for a higher peak- all depends on what you like to do. As it unfolded, you ran this world class effort on base ability while pushing the best in the world to the brink- while you were certainly still under the influence of recent races. Like Roes used to do from 2008-2010. Super impressive, but improvement to your peak potential will likely require an escape from the taper, rest, race recover cycle for blocks of unbroken training and rest. Many of the best efforts I know of have followed this form- Skaggs HR, Carpenter Leadville, etc. Best of luck going forward. If you want a mid-summer high altitude mountain running training camp, you are always welcome in Idaho. I whip up a killer vegetarian Elk steak! Thanks for your comment. I totally agree with getting in a more solid block of training. Hope you are doing well and look forward to representing SCOTT more and more with you! Great race report and excellent run! I was a long long way behind you but by the time I got to the other side of El Pilar everyone was taking the road rather than the side trails. Not sure which was correct but the road is a little easier. hey thanks! hope you enjoyed the race. I really think it probably was only a 1-2min difference but I was very confused by the trail and all the road switching back and forth as nobody was out there! I thought it was very cool the whole town was out near the finish and everyone was so supportive! Thanks for your comment and best of luck with your training and future races. This is very nicely put together with lot of thoughts. More or less reading the race reports provides an insight of race day and paints a clearer picture of what actually goes through the mind. I wish, some channel stood-up and starts covering these races, it will be so much more fun. I look forward for your upcoming races and wish you all the best for your training. hey thanks for reading and taking the time to comment. I love the media interviews and feedback I get so it is really much appreciated. I think the sport will grow little by little and to me the coverage is very exciting. Perhaps one day the US races will get some coverage when people realize how amazing these races can be and how excited local towns get in hosting such events. Great race report, thanks for sharing, can i ask which watch you train with that gives you the most accurate altitude/distance etc reading ? Thanks! I have a Garmin 910XT. It has a good battery life too which I really appreciates! I’m not sure how accurate the altitude is but the Gps signal seems to work really well for distance. Great write up. You show a LOT of respect for the sport, the competitors, and the course. I’m sure you’ll continue to amaze us all for years to come! Stay patient. hey thanks! That course demands respect and it is humbling to get passed on on uphill when climbing as hard as I can! Some many top runners were only seperated by a mintue (or second). I just hope my health holds out so I can continue racing! Great job writing this report – a wonderful read – and great analytics as well – training has to look like your race. This was excellent practice – UROC is going to be interesting. thanks Buzz! The UD gear worked great! Really like the Jurek collection essentail waist pack. 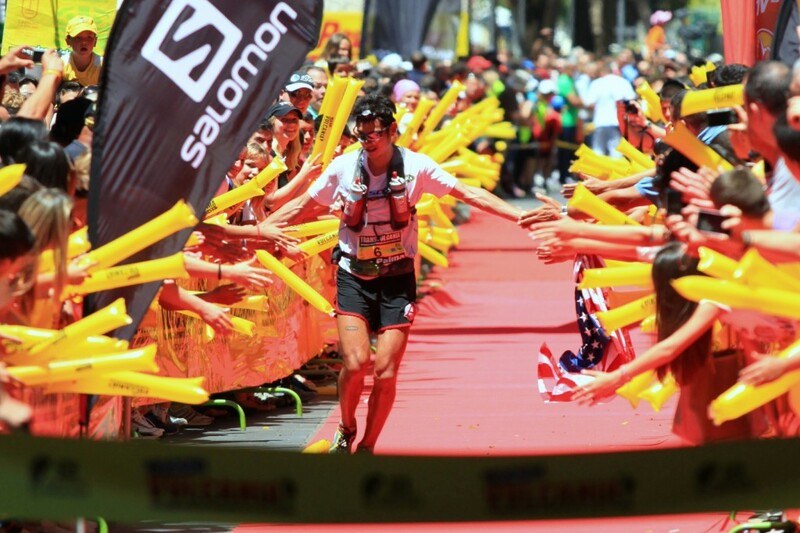 Can’t wait for UROC…for sure the focus race! Keep up the good work Sage and congrats on a well deserved 3rd place! hey thanks for taking the time to comment! yes, it was a very tough effort (mentally and physically). I thought I was going to bonk really hard about 3 hours in! Best of luck with your training and racing! sorry! I only have the AK race vest. You’ll have to talk to Buzz at UD about that! Almost everything was already written. It’s fantastic to have a delightful post telling us what a pro thinks/does on a challenge like this. There are no secrets, and for those who love sport, this is a treasure! I’m a big fan of Sage, since I saw the first VO2 videos, when he was on Hanson’s team. 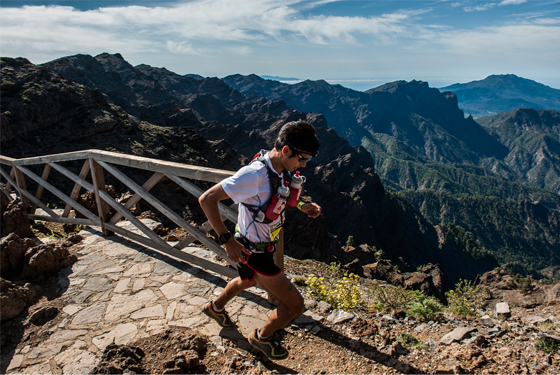 On Transvulcania, I woke up early to «see» online this race and to follow Sage’s performance. Great result for a first skyrunning race! Thanks for sharing your feelings! hey thanks for the support! glad you like the vo2max production’s youtube channel and my training videos. 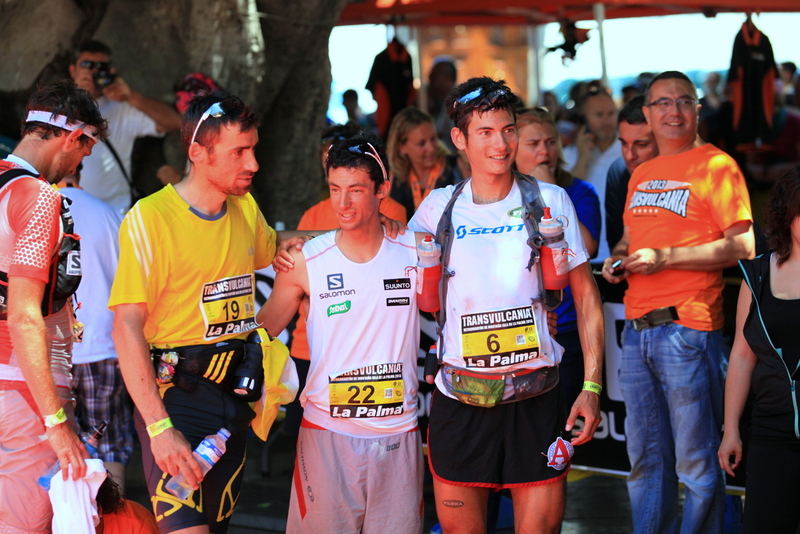 Transvulcania was a great learning experience as I am still new to the sport! I hope to continue to train harder and improve. Hope your running and training is going well. Great result Sage, on the heels of Killian, third was a great result in that field. Looking forward to your next race. Hey-thanks for the race report. I saw you at Tarawera and you’re killing it! Definitely putting this one in my race calendar for next year-course looks brutal but awesome! hey thanks! I hope to come back to race in NZ next year! best of luck with your training and future races. Loved the race report and more info on the race. Watched the race yesterday morning on tv in the uk and today I’m searching where to enter. I’m in for 2014 which is the first ultra I’ve booked but no doubt there will be some along the way to the big race next year. Looking forward to the sunrise quelling the pain for a short time. Many thanks Sage. 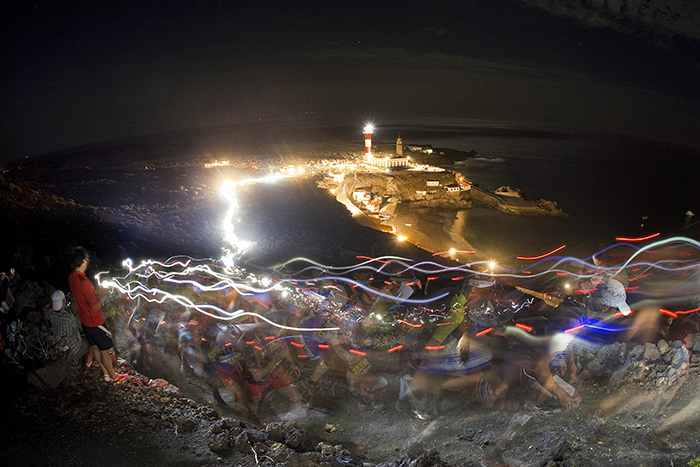 PS if u like it really tough check out the Spine Race in the uk, but think I’ll start with the transvulcania. hey thanks for the positive feedback and support! Spine Race sounds tough…been meaning to get over to the UK for running! Great race report. On a race like this, how much of the long climbs are you running versus powerhiking? Thanks! I powerhiked more in this race than I ever have in my life…I’d say about 5% of the total race I was powerhiking. It’s something I need to work on more and more though. Basically if the grade hits over 20% and the footing is bad I’ll switch to a powerhike for a 1minute or so but then transition to jogging again. I only do it if my breathing gets pretty out of control and my legs are burning with lactic acid (which happens at times on such steep hills! ).